As an American or foreign employer of Canadian workers, you need to protect yourself from ESA violations. The government of Saskatchewan made significant changes to their separate pieces of Canadian employment legislation regarding employment standards, occupational health and safety and Canadian labour relations. The previous versions of Saskatchewan’s Canadian employment laws were found separate from each other across different employment related pieces. As of April 29, 2014, the government of Saskatchewan announced a new Employment Standards Agreement to tie all those pieces together. The current minimum wage in Saskatchewan is $10.00 per hour with an increase of twenty cents taking effect on October 1, 2014. Saskatchewan’s ESA sets out that any changes to the minimum wage will now be announced on June 30 of each year and any changes will take effect on October 1 of each year. Furthermore the minimum wage in Saskatchewan will now be indexed to the consumer price index. The ESA now allows employers to schedule their Canadian employees for either four 10 hour workdays or five 8 hour workdays. Employers and employees can also choose to average an employees work hours over 1, 2, 3 or 4 week schedules without a work permit. Overtime pay can now be banked by employees. Service requirements for Maternity, Parental and Adoption leaves are reduced from 20 weeks to 13 weeks. New Leaves in the ESA include: Organ Donation Leave, Critically Ill Child Care Leave, Crime Related Child Death or Disappearance Leave and Citizenship Ceremony Leave. Workers in Saskatchewan with more than 13 weeks of continuous employment are now entitled to notice or pay in lieu upon termination of their employment. Hiring workers in another country is great for expanding business but risky for Employment Standards Act violation liability. Staying on top of new regulations in the Canadian workforce is difficult. 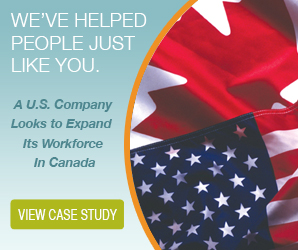 Gaining the services of an Employer of Record service provider (similar to a PEO) like The Payroll Edge allows U.S. and foreign companies the freedom of expansion without the compliance and potential for violating Canadian employment law. 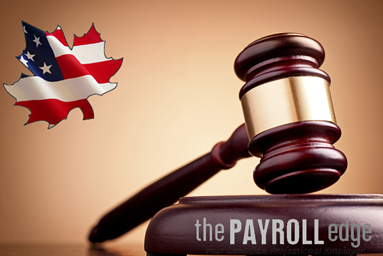 For more Canadian employment law updates and payroll tips, subscribe to our blog. Click here for more information on our services or contact us to hear about how our Professional Employer Organizations helps hundreds of American and foreign companies get competitive while staying compliant. All Canadian employees, regardless of their length of employment will be eligible for up to eight weeks per calendar year to provide care and support to a family member including children, siblings, parents and grandparents. Family members must be certified as having a serious medical condition by a qualified health practitioner (physicians, nurses and psychologists). The eight weeks of leave will apply to each family member described in the section and does not have to be taken all at once. Canadian employees who have been employed for at least six consecutive months will be eligible to take up to 37 weeks of unpaid leave to provide care or support to a critically ill child of the employee (again as certified by a qualified health professional). Employees who are eligible for this leave may also be qualified to receive Employment Insurance benefits from the federal government (known as special benefits for Parents of Critically Ill Children) for the duration of their leave. As with the Family Caregiver Leave, written notice must be provided to the employer and the employer is entitled to request a copy of the certificate that qualifies the employee for the leave. Canadian employees who have been employed for at least six months and have a child who dies and it is probable, considering the circumstances, that the death was the result of a crime, are eligible for up to 104 weeks of leave. In addition, where it is probable that an employee’s child has disappeared as a result of a crime, that employee would be entitled to a leave of up to 52 weeks. Similar to the Critically Ill Child Care Leave, employees may also be eligible to receive income support from the federal government in the form of a grant called ‘Support for Parents of Murdered or Missing Children’. American and Canadian employers should update their existing employment agreements with their workers in Ontario to reflect and comply with the changes when they take effect in October, 2014. If you are a U.S. or foreign company looking to hire in Canada, consider an Employer of Record service (similar to an American Professional Employer Organization). The EOR service offered by The Payroll Edge takes on the responsibility of taxation, payroll, and government compliance for employees in Canada so you can service your clients in the north without the hassle of understanding foreign policies. Contact us today for more information on how we can help you. Are Canada’s Policies Enforceable to American Parent Companies? What happens when American parent companies open for business in Canada? How can an American company protect themselves when expanding business into Canada? Most American employers assume that with their expansion into the Canadian business market comes a simple transfer of their company policies and procedures all the while unaware of our complex employment law system. Although Canada is similar to the U.S. in many ways, our employment rules and regulations are not. Take for example that there is no at-will employment in Canada nor do we routinely drug test job candidates and unlike in the U.S., our workers compensation board is government run.a? Most American employers assume that with their expansion into the Canadian business market comes a simple transfer of their company policies and procedures all the while unaware of our complex employment law system. As seen on Mondaq.com “Canada: Are Your Policies Really Enforceable?” By: Christopher Andree and Jennifer Emmans. “Oliver was a 9 year management employee of Sure Grip Controls Inc. He had a written employment agreement but it did not deal with the termination of his employment. Five years after he started, Sure Grip introduced an employee handbook. At the time Oliver signed an acknowledgement that he had received, read and agreed to comply with it. The handbook addressed termination by suggesting Sure Grip would pay only one week's pay for every full year of employment. The handbook also stated, "I understand that the Sure Grip Controls Inc Management Team Handbook is not a contract of employment and should not be deemed as such." In March 2011, in the context of a dispute over Oliver's entitlement to a profit sharing payment (which had been denied while Oliver was on medical leave due to a thyroid condition that required surgery) the company terminated him. Sure Grip took the position that Oliver's entitlement to pay in lieu of notice of termination was limited by the handbook to nine weeks. However, the trial judge found otherwise. She stated that while the parties could have made rights on termination a part of their written contract, the handbook clearly stated that it was not a contract of employment. This case illustrates the repercussions to companies that attempt to integrate employment standards derived from another country into Canada. Additionally, trying to implement policies through an employee handbook that clearly states it is not to be used as a contract of employment and having employees acknowledge it in writing is simply not enough. American employers need to take notice of examples like these if they want to protect themselves from legal proceedings when hiring, paying or dismissing Canadian workers. The Payroll Edge is a Professional Employer Organization (PEO) in Canada for American & foreign companies who would like to have Canadians on their payroll. Contact us today. Did you know as an employer you are required by Canadian Law to post a “What you should know about the Employment Standards Act” in your workplace for your employees to see? The Employment Standards Act is in place to set minimum standards for workplaces in Ontario. Most Canadian workers living in Ontario are covered by the act whether they are employed by an American employer or a Canadian company. Canada’s Minimum Wage varies by province. In Ontario, minimum wage will be $11.00 per hour beginning in June 2014. Please note the minimum wage for servers, students and nannies varies. Employers are required to pay Canadian employees (including temporary and contract workers.) for statutory holidays –even if they did not work that day. Employees who work on stat holidays are entitled to time and a half (overtime pay). 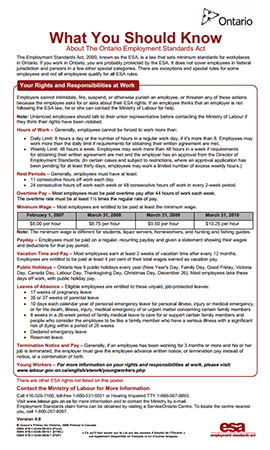 Employers must pay Canadian workers overtime pay after 44 hours in one work week. Canadian workers are entitled to two weeks’ vacation for every 12 month period of work. Most employees are entitled to a minimum of 4% vacation pay. A reasonable notice of termination must be given to Canadian employees who have worked for their employer for longer than 3 months’ time which is considered the “probationary period”. There are different unpaid leaves of absences an employer is required to give their employees; Pregnancy and Parental Leave, Reservist Leave, Organ Donation Leave, Personal Emergency Leave and Family Medical Leave to name a few. Length of time for each unpaid leave of absence varies. During a leave of absence, a Canadian employee’s seniority is not affected by their leave and benefits offered before a leave are still required to be paid by the employer during a leave. 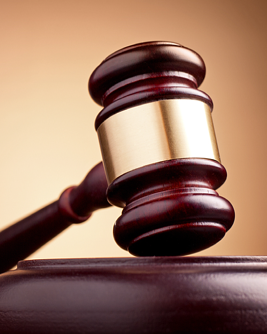 The Employment Standards Act can be examined in further detail here. Please note these ESA regulations can change depending on workplace, industry, age, length of employment and other factors so be sure to use the tools on the Canadian Ministry of Labour website. Failing to comply with the ESA could result in hefty fines, penalties and in some cases persecution whereby American and foreign employers cannot plead ignorance as an excuse. If you’re doing business in Canada, you must know the rules to protect yourself, your employees and your reputation. If you’re an American looking to hire and pay a Canadian worker consider an Employer of Record service. An EOR (similar to a PEO in the United States) is a great option for American and foreign employers who aren’t interested in learning a new set of rules in employment law. Contact The Payroll Edge today for more information. It seems that remitting your payroll deductions to the CRA should be a simple, straightforward process, and yet, Canadian businesses run into problems time and again. Part of this has to do with legislative and bureaucratic changes that catch people unawares. Sometimes small business owners just have too many things on their minds; it's hard to keep up with everything, especially with things like CRA remittances which don't help your business to stay afloat or improve your bottom line. Let's take a look at three common CRA remittance pitfalls and how to avoid them. This is probably the biggest mistake that employers make, and it's no surprise. The money collected from payroll may sit in your business account for weeks or even months before it's due to the CRA, so it's easy to forget about remitting. Do your best to stay on schedule, however, because the penalties for failing to remit are stiff and increase the more time you take. Not only the fee but the whole amount is subject to interest making a late payment much more costly than the timely payment would have been. Companies with a 12-month history of remitting compliance and who have a monthly withholding amount of less than $3,000 may be eligible to remit quarterly instead of monthly. You will be notified by the CRA if your business qualifies for quarterly remittance. Otherwise, you'll be expected to remit monthly, and it's important that you keep up with your deadlines. A worker engaged with your company who has a registered business, doesn’t always qualify to be paid as an independent contractor in the eyes of the CRA. As a business owner, you need to be aware of how to properly classify independent contractors in order to be compliant. A finding of misclassification can lead to the payment of both the employee and employer portion of the remittances going back as far as the initial engagement. If the CRA finds that you have violated the law, you will also be charged interest and penalties, which can add up very quickly. It's a lot to keep track of, but you need to remit CPP contributions, income taxes, and EI premiums from your employees' earnings, along with your share of EI premiums and CPP contributions for each employee. Recognizing taxable benefits and calculating then remitting them correctly is another area that is often misunderstood by business owners. Your employee is considered to have received a benefit if you pay or provide to him or her something that is personal in nature such as free use of property, goods or services. If the benefit is deemed taxable you must add the fair market value of the benefit to the employee’s income and tax accordingly. One thing you can do to help with calculating payroll deductions is to use the CRA's Payroll Deductions Online Calculator. Instead of looking up deduction amounts on the provincial and territorial tables, you can simply enter your data into the calculator. 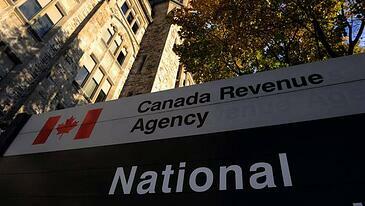 Remember, though, that you assume the risk associated with using the CRA's calculator. If you end up remitting the wrong amount, you can't use the calculator as your excuse. By taking care with these three CRA remittance pitfalls, you can avoid most of the headaches and frustrations encountered by business owners in the reporting area. Another alternative is to outsource payroll processing and let someone else take care of CRA remittance for you. When you're sure that your CRA remittance is handled correctly, you can face the details of your business confidently and irreproachably. You're a hard-working, law-abiding citizen. In fact, you have worked hard enough that you employ other people who count on you for their pay cheques and benefits. You should be aware, however, that you could face severe fines and even jail time for violations of the Employment Standards Act (ESA). Signed into law in 2000, the Ontario ESA regulates wages, work hours, and workplace health and safety in Ontario for provincially-regulated companies. The Ontario Ministry of Labour (MOL) enforces these regulations, educates and informs employers about how to comply with ESA regulations, investigates potential violations, and resolves complaints from employees. You might think that common sense could help you to navigate these standards, but that's not necessarily true. For example, in the workbook section about Public Holidays, you'll read, "Although vacation pay is not considered to be part of one's regular wages, the calculation for public holiday pay includes any vacation pay that was payable to the employee during any of the four work weeks prior to the work week in which the public holiday fell." Clearly, ESA standards are not always obvious or even, well, clear. And this leads us to the problem at hand. If you take a look at convictions under the ESA for March of this year, you'll see that there are several different ways that employers have violated the Employment Standards Act. One company failed to retain records, another failed to make records, several failed to pay for overtime, and another failed to give an eating period during a work shift. Most of these ESA violations resulted in fines of less than $500, but this shouldn't make you feel that you can relax when it comes to abiding by ESA standards. In fact, at least one Ontario employer is currently serving jail time for non-compliance. The owner of six Ontario companies ignored orders by an MOL officer to correct wage payment problems with 61 employees at all of the six companies he owned. Under ESA, a director of a company can be held personally liable for violations of the law, including failing to pay wages. The Ministry of Labour charged the owner and his companies with failure to comply with orders, to which he pleaded guilty. He was fined $280,000 and ordered to spend nine months in prison. If the owner had complied with the initial orders from the Ministry of Labour, he would certainly be in a much better position today. Perhaps he ignored the orders because he had too much to do and felt that ESA violations were not a big deal. You don't have to spend a lot of time and resources complying with the ESA. But if you feel you don’t personally have the time to read through the workbook and answer all the questions, the specialists at The Payroll Edge can take care of that for you. Or if you've already found yourself involved with ESA violations, we can help you with that as well, mediating with the Ministry of Labour and helping you to resolve past infractions, while making sure your programs and policies will keep you in the clear in the future. To find out more about ESA violations, contact us at The Payroll Edge.